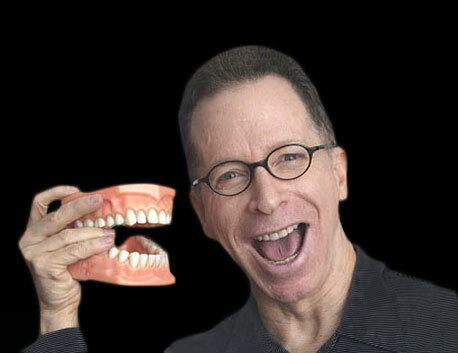 Comedian and dentist, Mike King, has built his pediatric dental practice in an unusual manner. He incorporates comedy into his dental office in order to relax the children. Kid’s jokes, and magic tricks are all part of his treatment. His humorous holiday greeting cards are so popular; other dentists and patients collect them. One even sold on eBay for $100! Entertaining is in his blood. His father, Sid, was owner and MC of “Sid King’s Crazy Horse Bar” in Denver. In the 70s and 80s, it was one of the largest burlesque houses west of the Mississippi. It was so famous, Clint Eastwood shot his film “Every Which Way but Loose” there. Mike has appeared on Comedy Central, America’s Funniest Home Videos, and An Evening at the Improv. He has opened many times for Ray Romano, and was featured in Newsweek magazine and the New York Times. He recently was selected to perform at the LA Comedy Festival. His other passion is writing. He sold a screenplay to Susskind and Company and became a member of the Writers Guild of America East. Newline Cinemas selected his romantic comedy script to develop from over a 100 submitted. His co-writer, Juan Campanella, won an Oscar in 2010. Another screenplay, “Supermarket” , co-written with Harrison Greenbaum, has been optioned. He was also selected by Larry David to submit ideas for the “Seinfeld” show and was a consultant for “The Eligible Dentist”, a sitcom pilot starring Gene Wilder. He recently formed a production company – Jamisonkane Entertainment, LLC. They just completed shooting a documentary on standup comedy “Last Chance Mr. Giggles” and a pilot for a reality TV show, “My Friends Think I’m Funny.” Both are being edited. Mike has managed to balance his love for pediatric dentistry with his love for the entertainment business. His greatest joy is spending time with his family. He and his lovely wife, Sophie, have a daughter, Annabelle.